A couple of things usually happen when people realize they can use frequent flyer miles and points to fly around the world. First, there is the excitement at the thought of all the possibilities. Maybe you’ll go to Bali… or Australia… or South Africa! Then comes the next part. The overwhelmed feeling. This is totally understandable. But, why do we feel this way? Where does one begin? No, seriously. There is so much information out there and tons of loyalty programs that can help you earn miles and points to travel that it can be totally overwhelming. No one wants to make amateur mistakes! Take a deep breath. Slow down. To help you navigate the miles and points world confidently, I’ve put together 9 tips and tricks to keep in mind while you learn more about this world. With these in hand, you’ll set yourself up for some amazing travel and leave the headaches behind. Before you even start worrying about which airline to fly, where to credit your flight miles, or which credit cards to use to earn miles and points, take a step back. Forget all about the points and credit cards for a minute and give yourself some time to figure out where you want to go and how you can to get there. These are your travel goals. It might only take a few minutes. It might take an hour. However long it takes, this is key to getting yourself on the right path so you don’t stress out down the road. Your priorities will likely change over time, and you can always adapt your approach to miles and points as you go. To start, come up with a list of places you want to visit. If your dream vacation spots only require relatively short flights, this will play a big rule in determining your strategy. Next, decide your cabin preference when flying: premium cabin (business class or first class) or economy class. If your number one goal is to explore as many places as possible, you might not care about flying in business or first class. 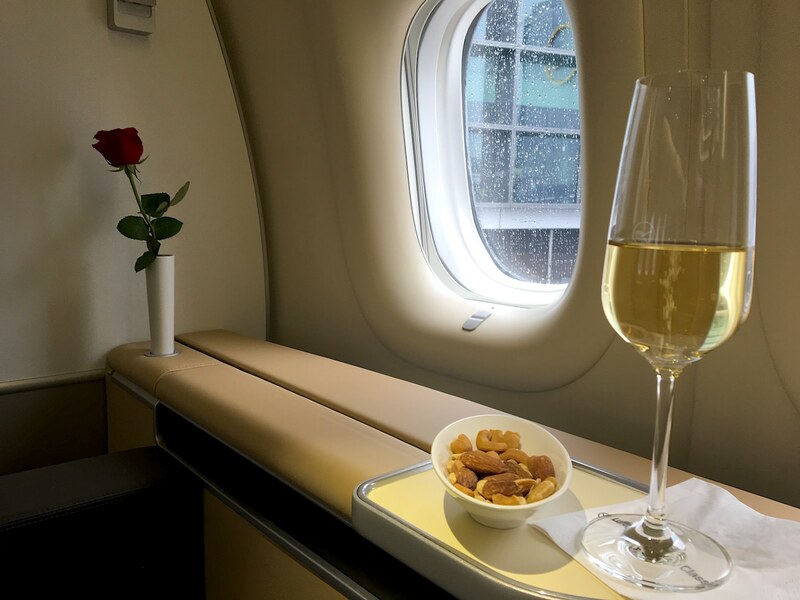 If your goal is to book aspirational flights complete with champagne, lounge access, and nice meals, you might want to use your miles and points on fewer (but luxurious) trips. Finally, try to think beyond the next vacation you are planning. This is especially important if you live in the US, as credit cards are the best way to earn miles and points. Each US bank has rules that can prevent you from being approved for cards, so make sure you have a basic understanding of these rules before starting. Once you have a rough outline of your future award travel goals, make sure you create accounts with frequent flyer programs. This is easy. Just go visit the website of any given airline to set up an account. Think outside the box here. For those with the ability to earn transferable points (we’ll discuss this in a minute), don’t just join the loyalty programs of airlines that operate out of your home airport. Other carriers can provide some interesting redemption opportunities as well as promotions with discount award prices. The ability to earn credit card points that can be transferred to airlines is determined by the country in which you live. This is much easier in the United States than anywhere else in the world. Transferable points such as Chase Ultimate Rewards, American Express Membership Rewards, Citi ThankYou Points, and SPG Starpoints are tremendously valuable. Each program partners with a number of airline partners so that you can transfer the points directly to an airline to book award flights. Chase only operates in the United States, but Citi and American Express both offer credit cards that earn transferable points in a number of other countries including Australia, Canada, France, Hong Kong, the United Kingdom, and more. The programs have different airline partners and transfer rates depending on the country. As most people don’t earn airline miles with one carrier through work travel, transferable points are much more useful to the average person as they provide access to award flights with multiple airlines and airline alliances. Booking an award ticket is different than booking a cash ticket. If you’re booking a cash ticket, the airline is always happy to give you a seat if available. However, with award travel, a limited number of seats are released by the airline for award bookings. On some dates, you won’t see any award availability. This is why flexibility can be so helpful. When you are considering an award booking, plan ahead and be flexible. It’s important to remember that award seats won’t always be available so don’t get too frustrated when your desired flight doesn’t have award space. If you have a range of departure and return dates, you are more likely to find award space. Additionally, if you aren’t trying to book an award during the busiest travel seasons of a respective country, your chances greatly improve. For example, booking award flights between the United States and Europe during the summer and around Christmas can be tough as tons of people are booking these flights. To make sure you have the best chance of getting an award seat, start your award search as soon as the dates are bookable – this could be 11 to 12 months prior to the departure date. Now, this is not to say that planning a year in advance is the only way to do this. Some airlines release award space throughout the year and some have a tendency to release award space in the last week or two prior to departure if you can book last minute. To find the number of points that will be required for a particular route, you can check the award chart of an airline. If you are going to transfer points to an airline then book, you can see your best options by using one of the several tools. AwardEx Search platform that shows flight availability & booking options. Shows U.S. credit card transfer partner info. For full functionality, you must purchase credits. Award.Flights A Chrome extension that searches several airlines for award space. Generally accurate, but slow. AwardHacker Compare mileage cost from frequent flyer programs, sort results by alliance, U.S. credit card partners, and class of service. Shows possible routes for booking. Milez.biz Compare mileage cost from frequent flyer programs. Less functionality, but includes more frequent flyer programs. I generally use AwardHacker as you can select your departure and destination airports, class of service, and round-trip or one-way bookings. You will then be shown the number of miles required by tons of frequent flyer programs. For example, you could search for New York City (JFK) to Frankfurt (FRA). You will be provided the number of miles required by different airline programs and on which airlines you can book. You could use Asiana Airlines miles to book a flight on their Star Alliance partner Lufthansa. Keep in mind, these tools aren’t perfect. They don’t include every airline frequent flyer program and they won’t provide the correct number of miles required, occasionally. That being said, they are still great places to start your search to give you an idea of your options. You’ll also notice that they both allow you to sort by transferable points program. These are US-based tools so the programs listed are US transferable points programs with their associated airline partners. Don’t rely on this section if you aren’t in the US. Most airlines don’t require you to book round-trip itineraries when booking award flights. If you have points in a couple of different frequent flyer programs, you could book your outbound flight with one program and the return with another program. Many airlines charge exactly half of a round-trip award for a one-way award. Unless booking a round-trip award allows you to book a stopover (we’ll discuss stopovers later) and you need one, one-way awards can be a great way to book flights. Occasionally, you won’t see award availability from your departure city, especially when booking long-haul flights on international carriers. In this case, you might need to search for the long-haul segment from the gateway airport then book a cheap cash or award ticket with a different program to get to that airport. In other cases, you will be able to find the award space you want on both segments individually, but the online system won’t let you book both segments together as one award without charging you extra miles. When this happens, you might be able to call the airline to book over the phone without sacrificing the extra miles. For example, I wanted to use Delta SkyMiles to book a flight from Washington, DC (DCA) to London (LHR) and connect in New York City (JFK) so I could try the Virgin Atlantic Clubhouse at JFK. I searched on Delta’s site but couldn’t find the award space I wanted from DCA. However, when I searched New York City to London, I found award space on the Virgin Atlantic flight to London. I then searched for an award flight from Washington, DC to New York City and found the required award space. Now, all I had to do was call Delta or ask them via online chat to book the trip as one award by providing the flight dates, flight numbers, and class of service. It was an extra step, but took no more than a few extra seconds to find the award space on each segment. Booking through a Delta representative took (maybe) 15 minutes. To return, I booked a separate award with Air France/KLM Flying Blue miles on a KLM flight. While KLM is a partner of Delta, it required fewer Flying Blue miles than SkyMiles to book the flight which made it the ideal choice. As you can see from the Delta example above, having airline miles with an airline does NOT mean you can only book award tickets for their flights. There are three major airline alliances: Oneworld, Star Alliance, and SkyTeam. If you have miles with a Oneworld airline, you can book award flights on flights operated by their Oneworld partners. This applies to each airline alliance. Additionally, airlines also form one-on-one partnerships with other airlines. American Airlines, for example, is a member of Oneworld but also has an individual partnership with Etihad Airways. Speaking of Etihad, they are not a member of an airline alliance but have formed individual partnerships with a number of airlines around the world. Alaska Airlines is another carrier that has not joined an alliance but has an extensive network of airline partners. These alliances are also very useful if you when you book cash tickets as many of these partnerships allow you to earn miles with a frequent flyer program that’s different than the airline you are flying. For example, if I paid for an ANA business class ticket and have the option of earning miles with any of their Star Alliance partners. In this case, I have chosen to credit this flight to Asiana Airlines. This can be especially useful for international business travelers who want to earn elite status with an airline that might not operate on all the routes they need but partner with airlines that do. If you’re flying to another continent, you might as well get the most out of the experience by utilizing stopovers and open jaws. Stopovers are stays of over 24 hours in a connecting city. In fact, with a stopover, you could visit a city for a week before continuing to your destination. With an open jaw, you would arrive in one city but return home from another city. With an open jaw, you are free to get to the city from which you will depart however you choose. You can buy a cheap flight, take a train, drive, etc. That part is up to you. Keep in mind, each airline has their own rules regarding stopovers and open jaws. In fact, not all airlines allow them. United Airlines, Japan Airlines, Cathay Pacific, and Alaska Airlines are some examples of airlines that allow stopovers and open jaws. Remember, it’s the frequent flyer program you are using to book the award that determines whether and how you can use a stopover and/or open jaw. This means if you use United miles to fly on Swiss Air and Turkish Airlines on one award, you need to know United’s rules not those of Swiss Air or Turkish Airlines. Be Aware of Taxes and Fees on Award Tickets. When booking cash tickets, you might have noticed there are a number of taxes and fees on many tickets. Taxes are determined by the country (and locality) from which you are flying, but some airlines also add carrier imposed-surcharges. Unlike with the stopovers and open jaw policies mentioned above, a ticket’s surcharges are determined by the airline with which you fly rather than the frequent flyer program you use to book the award ticket. Some frequent flyer programs will pass on those carrier-imposed surcharges on award tickets while others, such as United Airlines, do not pass on these surcharges. British Airways and Lufthansa flights are notorious for having high taxes and fees. Part of this is due to local taxation in their hub cities, but most of it imposed by them. If you book an award flight that departs from Brazil, Hong Kong, or the Philippines, you’ll notice that you won’t be hit with carrier-imposed surcharges even on British Airways. These surcharges aren’t legal in these three countries. You’ll also notice that domestic flights within the United States and Australia don’t have these surcharges either. Through the strategic use of credit cards that earn transferable points or airline miles and crediting your paid flights to the right program, you can earn the miles and points needed for your next big vacation. This is by no means a comprehensive guide, but these 9 tips and tricks should make the learning process a bit easier. Want to get the best value out of your frequent flyer miles? Submit a trip request today. Flysten experts will find you the most affordable and comfortable flights! Spencer Howard is the founder of Straight To The Points where he cuts through the noise to help busy professionals travel the world on miles and points.